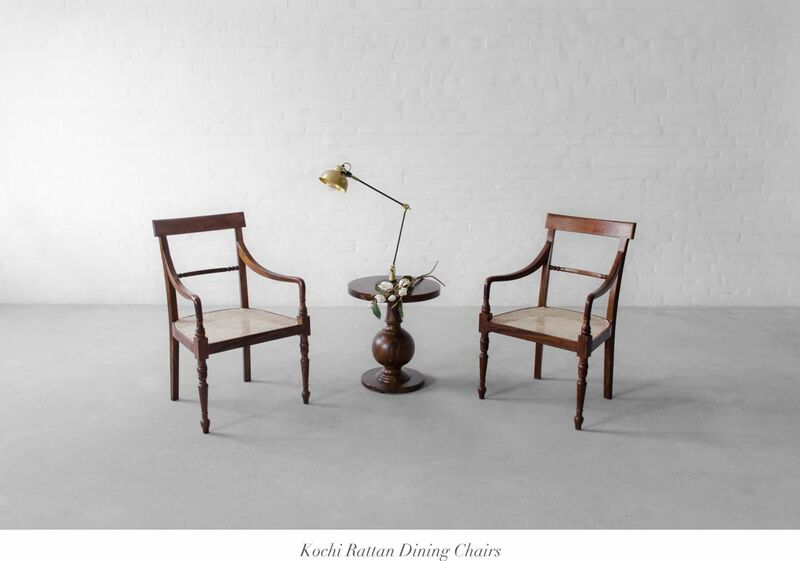 Dining space is considered to be the center of a home, as it serves various purposes - people eat here, they have private conversations at the table, occasions are celebrated and the family organizes board games here. 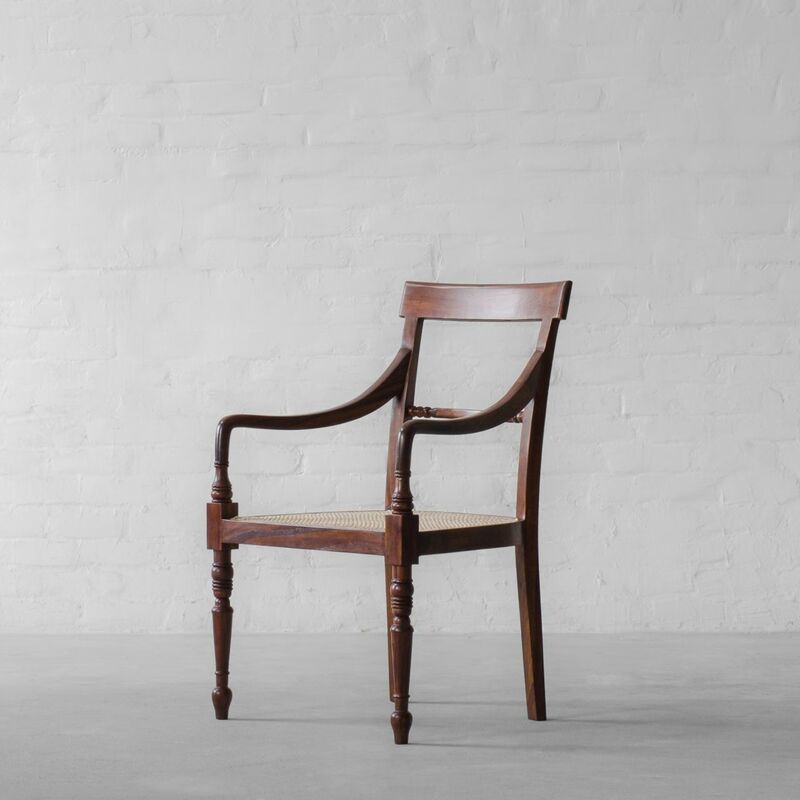 Adding to the thought, we bring to you our new time-honoured dining chairs. 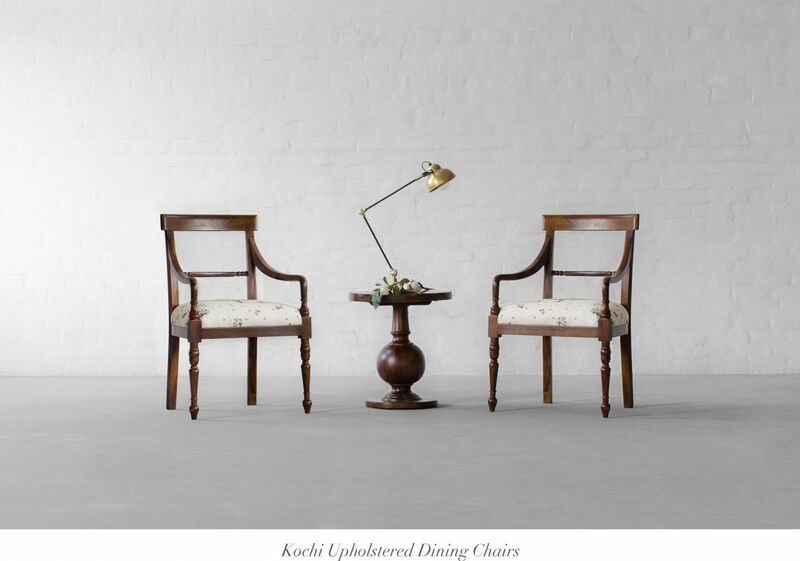 From the city of long and illustrious history we bring to you our Kochi Dining chairs. 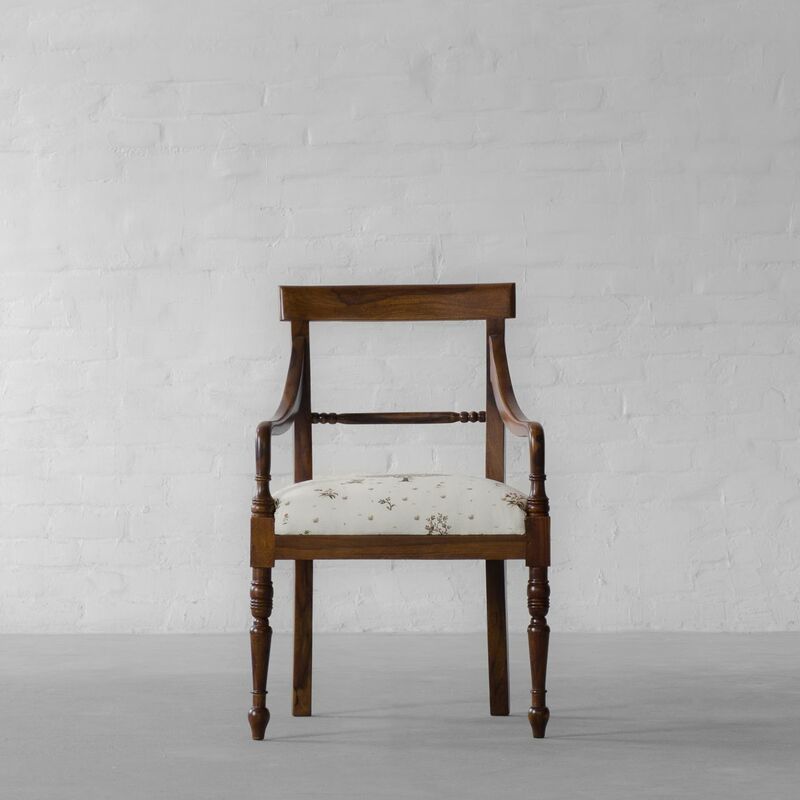 India's colonial history through this stunning design stimulates the mind to take you into the world of Indian Maharajas and their colonial equivalents. 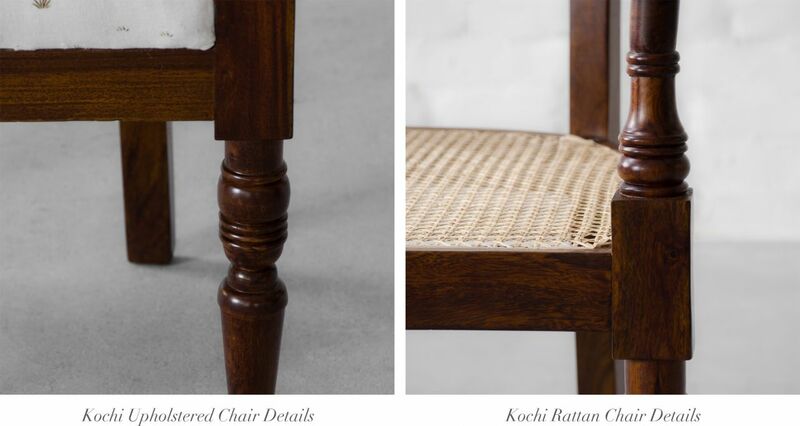 Each piece intertwines a tale about how elegant Kerela homes illustrate the colonial culture; then predominant in India. 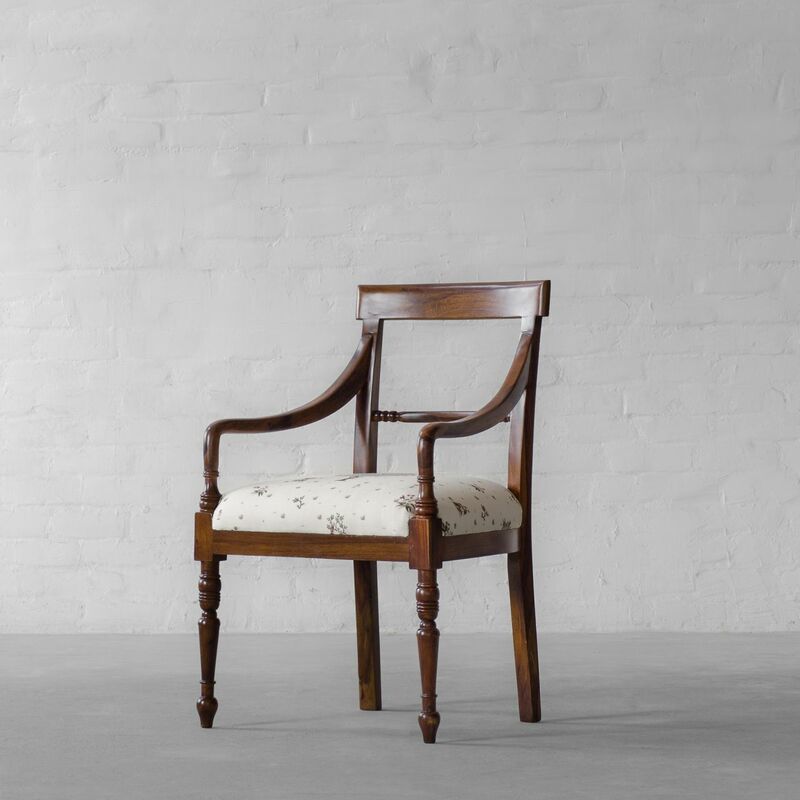 With beautiful ornate backrest and intricately hand-turned legs completed with cane Rattan work or upholstered in our range of Signature prints and timeless fabrics, a colonial aura is sure to be added to the heart of your home. 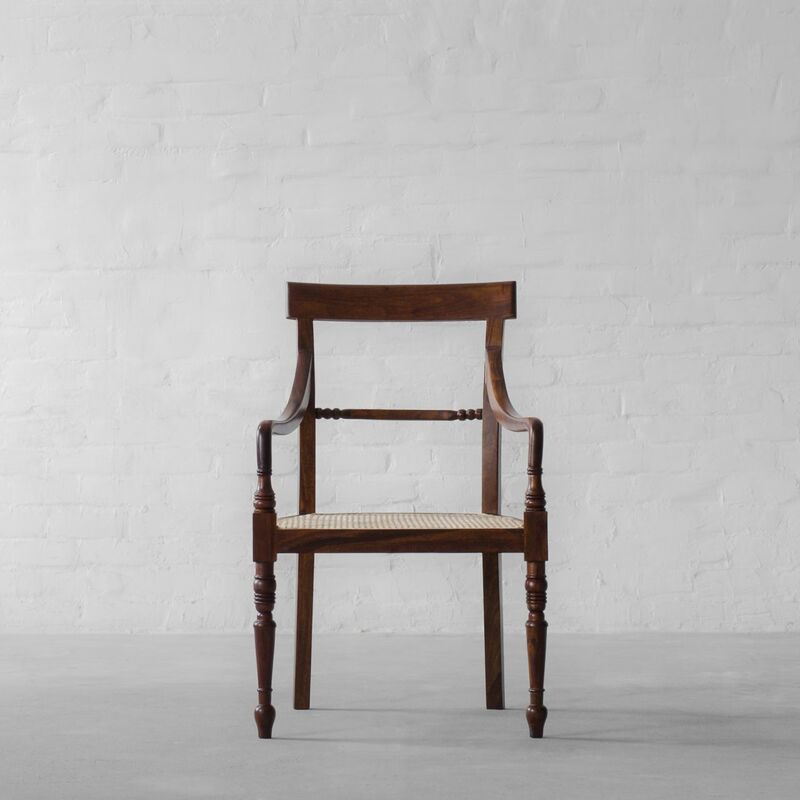 Decorate your dining space with these beautiful and ornate chairs that also promises to add a vintage charm.